Did you ever want to change the world but never knew how? Everyone speaks of freedom but is freedom simply to do what one wants? Most young people are pursuing academic degrees but did you ever ask yourself what is the purpose of education? Did you ever ask what is justice or why do we punish people? With the current economic crisis in mind, did you ever reflect on our society's ideas and views on work, economy, wealth, etc.? And, most importantly, did you ever ask, "Who am I as a person and a human being? What is the foundation of my dignity, rights, and duties?" 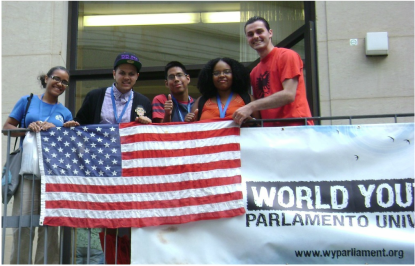 If you have ever reflected on these question or would like to do so, then the World Youth Parliament is for YOU! © 2019 World Youth Parliament U.S.A.